How is Torque Release Technique Chiropractic Explained? The TRT Integrator is a Chiropractic instrument that delivers Chiropractic adjustments. Techniques have changed over the years but the chiropractic philosophy hasn’t. How can we reach the levels of health in our bodies that we desire through TRT Chiropractic practices? 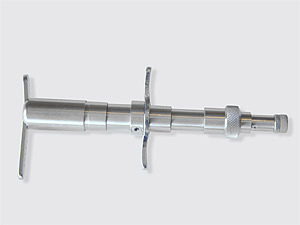 TRT stands for Torque Release Technique. TRT is the most up-to-date chiropractic technique available today. It has been designed as part of the scientific research into the health benefits to a chiropractic lifestyle. It is a mixture of the “best-of-the-best” systems of chiropractic assessment and treatment. In chiropractic language, TRT is known as a “low force”, “neurologically based”,” tonal”, “subluxation centered” assessment and adjusting technique. The method TRT offers has firm foundations in science. An understanding of the amazing structure of the spinal column, spinal cord and central nervous system. A cutting-edge knowledge of how the body operates, in particular, how the nervous system keep your body working. How the chemical reactions in the nervous system change the chemical reactions in the rest of the body. More specifically, how a chiropractic adjustment can act as a catalyst for healthier body chemistry. How the nervous system is the master controller of all body systems. Understanding how chiropractic can improve communication between nerve tissue and body tissue. The revolutionary science of Psychoneuroimmunology and how the mind-body connection is being unraveled and understood. Through the review of the various chiropractic techniques, TRT culminates the best of the best. It is gentle but extremely powerful. The effects of TRT are continually being measured and proven in gold standard scientific research studies. It is my mission and vision to help everyone come to experience and understand the benefits of a “Chiropractic Lifestyle” through feelings of health and wellbeing. Regular adjustments and a commitment to excellence when making wise health care decisions will assist. By incorporating anti-inflammatory nutrition and smart exercises with regular chiropractic adjustments, you compound the benefits.